Donate and make a difference! We're working to care for God's earth. Let's do it together. As a charity, we do not receive any government funding. We rely on the generosity of our supporters, donations from individuals, churches and grants for the rest. Our income is never guaranteed and sometimes we have to act in faith. But God has never let us down, and neither have our supporters. Please help us to continue our vital work to reverse the decline of nature in the UK and make our environment where nature and people can flourish. 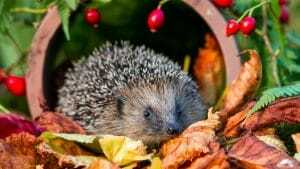 Donate today to help us make hedgehog decline yesterday's news.